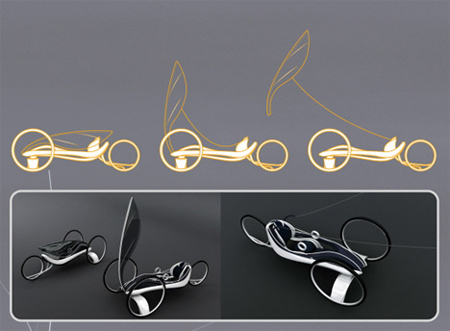 Futuristic wind powered vehicle with a wing-like device to propel it along, just like a kite! 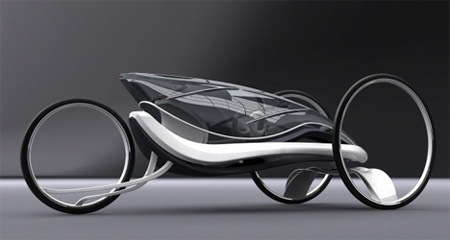 “Wind Light Vehicle” is also an electric car concept with the idea of creating sustainable transportation in mind, which mean, you don’t have to worry if there’s no wind around, the electric motor in each of its three wheels can be used to run the vehicle. 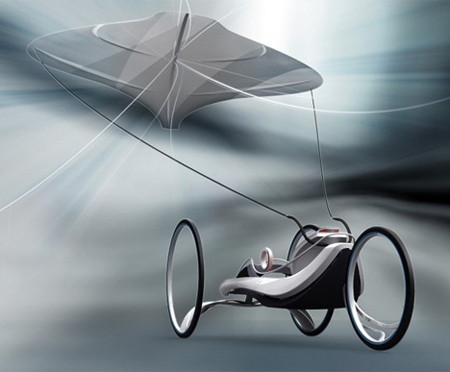 While this concept definitely tends towards the far end of future-forward, it does capture an inspired approach and we’re looking forward to the development of more immediately viable wind propelled vehicles.